Shenzhen, South China's Guangdong Province, known as China's Silicon Valley, has launched a pilot project for 5G commercial use. Under this project, it will install 1,955 5G base stations this year to speed up applications such as the Internet of Things, smart manufacturing and connected vehicles, the Shenzhen Special Zone Daily reported on Monday. The city aims to reach 851,000 users via 100M optical fiber cable this year. According to Shenzhen's 5G deployment plan, it will take the lead to carry out the commercial use of 5G technology, building small-scale networks in 2019. 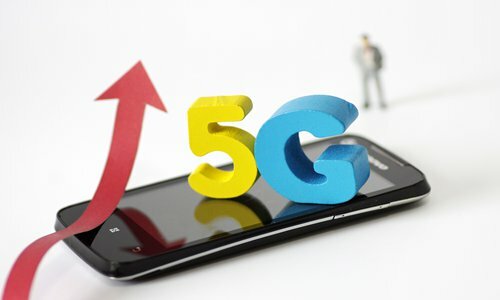 "The benefits for Shenzhen to conduct a pilot program of the commercial uses of 5G technology are larger than any other cities in China, because Shenzhen has a large number of mobile phone companies and the most centralized mobile phone industry chain in the country," Wang Yanhui, head of the Shanghai-based Mobile China Alliance, told the Global Times on Monday. As the home of Chinese tech firms such as Huawei, Oppo and Vivo, Shenzhen has more benefits in terms of 5G research and development, early layout and 5G tests so that tech firms can get used to 5G better and sooner, Wang noted. The city will also improve the free Wi-Fi service in public places in order to provide a unified, safe and convenient internet to the public. Wang said it will take time to see whether consumers will accept 5G mobile phones, considering their prices and the area of coverage in Shenzhen. Last year was an economic milestone for Shenzhen thanks to its flourishing high-technology development. The city's GDP reached 2.4 trillion yuan ($352.71 billion), with 7.5 percent growth on a year-on-year basis, the Xinhua News Agency reported. The number is expected to surpass that of Hong Kong and ascend to the top five among all Asian cities, the People's Daily reported on Monday.